If the weather is pleasant, take a long Shabbat walk. If you cannot attend Shabbat services, try to review the Torah reading. Do some research and discover local Jewish heroes. Our modern media culture likes to “label” successful people: The richest person, the prettiest person, the person of the year, and etc. And because our culture is so influenced by the images we see on screen and the stories we read in magazines, we sometimes forget that some of our greatest heroes are the people living just next door. The ability to recognize the greatness of one’s neighbors and coworkers begins by first being aware and conscious of one’s interactions, and appreciating the things we learn from them. 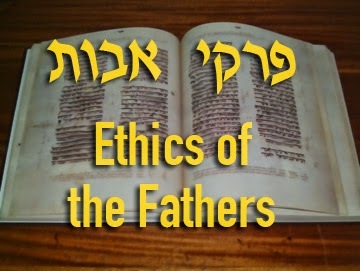 In the sixth chapter of Pirkei Avot/Ethics of the Fathers, it is stated: “One who learns from his fellow a single chapter, or a single law, or a single verse, or a single word, or even a single letter, must treat him with respect” (6:3). While this verse is specifically referring to learning Torah (or, in the case of a single letter, language with which to study Torah), it is a concept that is easily transferable to the acquisition of all types of knowledge. An earlier Mishna in Pirkei Avot praises a person who learns from all people: “Ben Zoma said: Who is wise? He who learns from everyone” (4:1) Because gaining knowledge is what makes a person wise, one must treat with respect all people from whom one acquires knowledge, no matter how simple it may seem. When you learn something new from a person, acknowledge it and thank them. This Treat was last posted on June 3, 2014. 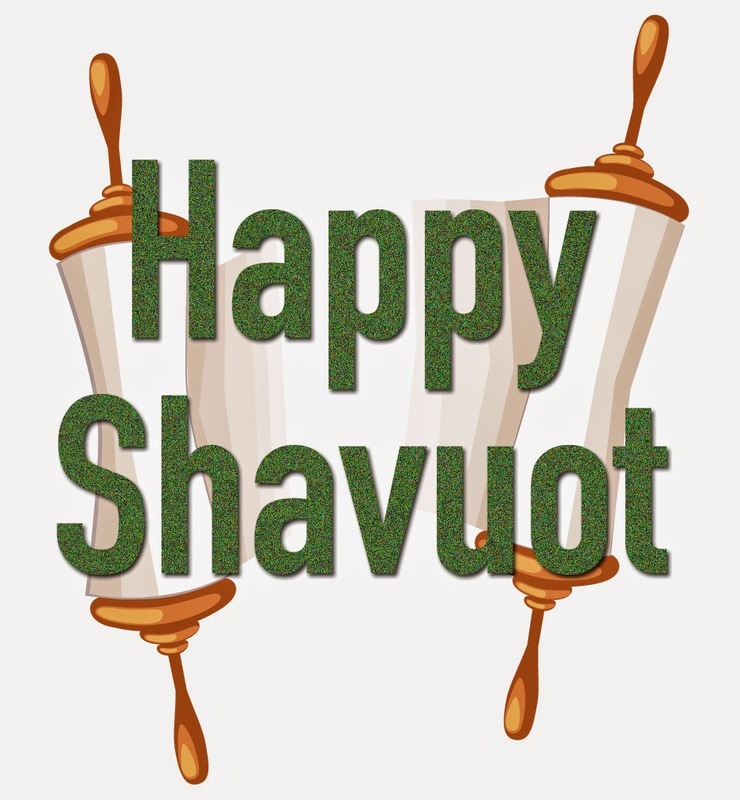 NJOP and Jewish Treats wish you and yours a beautiful Shavuot holiday. This year Shavuot and Memorial Day overlap. Use the time to remember and reflect on those who have given their lives to let America remain the land of the free. Click here to read about NJOP's Sanctify This Memorial Day initiative. This Treat was originally posted on May 10, 2013. This Treat was last posted on January 30, 2013. Call your local synagogue for their holiday schedule. 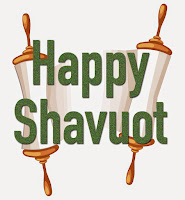 Shavuot, which we begin celebrating Saturday night (May 23rd), is the only holiday in the Torah not listed by the date on which it is to be observed. Rather, the Torah teaches that this festival takes place on the day following the 49th day after the first day of Passover (see Counting of the Omer). The name Shavuot, therefore, reflects the fact that this holiday occurs seven complete weeks (shavuot) after Passover. In mystical terms, the number 7 represents the natural order of things, and so, a complete, natural cycle has occurred. This Treat was last posted on June 2, 2014. As Shavuot approaches, take the time to thank God for the gifts He has given you. This Treat was originally posted on May 13, 2013. Order flowers for the Shabbat/Shavuot. On the northern border of Judah there existed just such a city. Jerusalem (as we now call it) was a Jebusite city situated on the border of Judah and Benjamin (the tribe from which King Saul had come). So “the king and his men went to Jerusalem [and battled] against the Jebusites, the inhabitants of the land...Nevertheless David took the stronghold of Zion; the same is the City of David” (II Samuel 5:6-7). The geographical spot on which Jebusites had built their city had already achieved acclaim in the days of Abraham. According to the sages, this was the place from where Malchizedek, King of Shalem, “brought forth [to Abraham] bread and wine; and he was the priest of God the Most High” (Genesis 14:18). The word “shalem” can be translated as both peace and as wholeness. This same location is later called Mount Moriah, and was the site of the binding of Isaac. At that time, “Abraham called the name of that place Hashem-Yirah; as it is said to this day: ‘On the mount where God is seen’” (Genesis 22:14). This Treat was last posted on May 22, 2009. Today, May 17, 2015/28 Iyar 5775, is Yom Yerushalayim (Jerusalem Day) in honor of the anniversary of the unification of the city in 1967. Prepare for Shavuot, which begins next Saturday night, by downloading Jewish Treats Guide to the Ten Commandments. Born in Bialystock on March 31, 1810, Hayyim Selig Slonimski completed writing his first textbook on mathematics when he was only 24 years old. Alas, finances were so tight that the young scholar was only able to publish half of the textbook. The next year, however, he managed to release a collection of scientific essays - including one on Halley’s Comet. These, and his future works, were all written in Hebrew and brought many newer scientific concepts to the Orthodox population of Eastern Europe (where he was accepted because of his known strictness in his observance of Jewish law). In 1838, Slonimski moved to Warsaw and became acquainted with Abraham Jacob Stern (1768-1842), who was a mathematician and inventor. Slonimski later married his mentor’s youngest daughter, Sarah Stern. Slonimski’s first invention, a calculating machine, was presented publicly at the St. Petersburg Academy of Sciences* and was awarded the Demidov Prize and received 2,500 rubles. The Slonimski Theorum behind the machine significantly influenced many future mathematical developments. Slonimski also invented a chemical process for plating iron vessels with lead, as well as a device for sending quadruple telegrams, which had a profound effect on the fledgling telegraphic communication industry. In 1862, Slonimski opened a weekly Hebrew scientific newsletter, Ha’tsefirah. Six months later, however, Slonimski accepted the position of principal of the rabbinical seminary in Zhitomer (while also serving as a government censor of Hebrew books). When the seminary was closed by the government in 1874, Slonimski resumed the publication of Ha’tsefirah. Hayyim Selig Slonimski passed away on May 15, 1904. *There is some speculation that the calculating machine was Stern’s, who had passed away a few years earlier. This Shabbat, talk about the ways Torah and science are symbiotic. 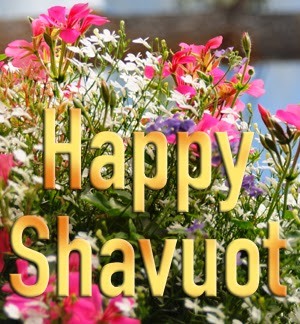 In just over a week, Jewish people around the world will celebrate the festival of Shavuot, a holiday that marks the Jewish people receiving the Torah. For well over 3,000 years now, the descendants of the tribes of Israel have been studying the laws that were delivered at Mount Sinai. One might wonder how it is that a text can be studied over and over for thousands of years and still continue to intrigue, confound and entice scholars. What is it that leads Jews in communities around the world to dedicate their lives to explore the mysteries of this sacred text? 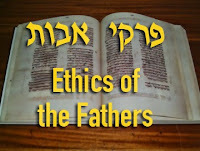 There is a pair of fascinating Mishnas in Pirkei Avot/Ethics of the Fathers that provide an insight into the unique nature of Torah. The first is attributed to a sage by the name of Ben Bag-Bag, who said: “Turn it and turn it again, for everything is in it. Pore over it, and wax gray and old over it. Stir not from it, for you can have no better rule than it” (5:25). Those who regularly attend Shabbat services will recognize how, throughout the year-long cycle of Shabbat morning Torah reading, rabbis constantly find new messages to draw from the weekly bible portion. Add to that the text of the Talmud, which is the written compilation of the Oral Law, and there are years’ worth of study. The second Mishna follows the first and is attributed to Ben Heh-Heh, who said: “According to the effort is the reward.” The Torah is the birthright of every Jew, but the level of joy, enlightenment and anticipation one derives is dependent on the time and dedication invested in its study. Incorporate time for studying Torah into your schedule. In the land of Israel today, they are well into the year of Shmittah (the sabbatical seventh year during which farmers let the land lay fallow). Since last Rosh Hashana, many Jewish farmers throughout Israel have voluntarily hung up the keys to their tractors, and Jews around the world have been careful in choosing the Israeli produce that they eat. The laws of Shmittah are mentioned several times in the Torah, and the process of preparing for and observing the Sabbatical year has many fine details. The 25th chapter of the Book of Leviticus begins with the laws of Shmittah, where the Torah states: “And the sabbath-produce of the land shall be for food for you: for you, and for your servant and for your maid, and for your hired servant and for the settler by your side that sojourns with you; and for your cattle, and for your beasts that are in your land, shall all the increase thereof be for food” (25: 6-7). The laws of Shmittah specifically prohibit the formal harvesting of the crops of the field and the commercial use of the produce. However, as is expressed in the above verses, it was not prohibited to eat the food as long as that food had not been harvested. The owner of the field may collect what the family needs for immediate consumption. Even hungry strangers who pass through an orange grove can each take an orange to eat. It is also interesting to note the large number of people and animals mentioned in Leviticus for whom “the land shall be for food.” Since there is no ownership of the produce that grows during the Shmittah year, there are no restrictions as to who may eat it. Be generous with the people in your life. Lillian D. Wald (1867 – 1940) was born to middle-class, German-Jewish immigrants. In 1889, Lillian enrolled at New York Hospital's School of Nursing. When Lillian began teaching basic nursing to immigrant families on the Lower East Side of New York four years later, she was shocked at the living conditions she discovered. But Lillian Wald had found her calling. She took up residence on Henry Street and began what she termed “public health nursing.” The Henry Street Settlement (as it came to be known) became an open resource for the community. The nurses charged on a sliding scale according to need, kept patient records and offered educational classes. By 1905, there were 18 similar centers under the Henry Street Settlement auspices. In addition to actual health care, the Henry Street Settlement also provided social activities for youth (to keep them off the street and to educate them), vocational training, and other activities that today would be provided by municipal or private social work agencies. This Treat was last posted on May 11, 2011. Remember to express your gratitude to all people who assist you, no matter what their title. You shall have no other gods before Me. You shall not make for yourself a graven image, nor any manner of likeness of any thing that is in heaven above, that is in the earth beneath, or that is in the water under the earth. You shall not bow down to them, nor serve them. For I the Lord your God am a jealous God, visiting the iniquity of the fathers upon the children of the third and fourth generation of those that hate Me; and showing mercy unto the thousandth generation of those that love Me and keep My commandments (Exodus 20:3-5). Prohibiting the worship of any other god seems like an obvious next step after the First Commandment (“I am the Lord your God”), and the instruction to have no other gods seems fairly obvious. As basic as this commandment may seem, the text itself is very specific, detailing both ambiguous worship (unseen other gods) and the worship of any natural part of the universe (in heaven above, earth below or in the water--i.e. sun, moon, stars, etc). Since the worship of idols, according to the Midrash, stemmed from people thinking of the sun or thunder as more approachable servants of God, these details are important. In addition to the detailed definition of not having other gods, the text of the Second Commandment includes what seems like an explanation of the reason not to worship other gods. The second half of the Second Commandment, which includes details such as God being a jealous god, conveys, in human terms, the seriousness of this transgression. Because God loves the Jewish people, He notifies them of the dire consequences of idol worship; that it doesn’t just affect one person, but impacts on many generations. Celebrate spring by praising the beauty of God's creation. This Treat was last posted on May 11, 2014. Share this Treat with the mothers in your life (and, where appropriate, add a personal note of gratitude). At one point or another, almost every parent (religious or not) quotes the Ten Commandments to their child/children when they call upon them to “honor your father and mother!” This fundamental concept is about far more than catering to a parent’s ego. Rather, honoring one’s parents is the first step to respecting the world, one’s past and the caring role of the Ultimate Creator. The sages even state specifically that “There are three partners in the creation of a person, the Holy One, blessed be He, the father and the mother. When a person honors his/her father and mother, the Holy One, blessed be He, says: I ascribe [merit] to them as though I had dwelt among them and they honored Me’” (Talmud Kiddushin 30b). It is interesting to note that God does not include His own honor in the Ten Commandments. (He simply declares Himself in the first commandment and prohibits worshiping other gods or taking His name in vain, but He does not demand to be honored.) Perhaps this is because God places greater importance on interpersonal relationships than on mitzvot between people and God. Rabbi said: It is revealed and known to Him Who decreed and the world came into existence that a son honors his mother more than his father because she sways him by words. Therefore, the Holy One, blessed be He, placed the honor of the father before that of the mother. It is revealed...that a son fears his father more than his mother, because he teaches him Torah, therefore the Holy One, blessed be He, put the fear of the mother before that of the father (ibid 30b-31a). Incorporate honoring your parents throughout the year, not just on Mothers Day and Fathers Day. *Some people observe 33 days of mourning starting from the beginning of the month of Iyar until three days prior to Shavuot. In such cases, however, Lag Ba'omer is excluded from the mourning customs. This Treat was last published on May 16, 2014. This Treat was last posted on April 29, 2013. In honor of Lag Ba’Omer, make a special effort to get along with others. Like most of the rabbis who lived under Roman rule, Rabbi Shimon bar Yochai was considered a criminal for studying and teaching Torah. Along with his son, Rabbi Elazar, Rabbi Shimon bar Yochai went into hiding, and, according to tradition, they sustained themselves for 13 years by eating the fruit of a carob tree that God miraculously caused to grow in their cave (Talmud Shabbat 33b), hence the custom to eat carob (also known by the Yiddish name, bokser) on Lag Ba’omer. This Treat was last published on April 26, 2013. This Treat was last published on May 18, 2014. In honor of Lag Ba’Omer, try some carob. It is not uncommon to picture the era of the rabbis of the Talmud as a world in which the vast majority of Jews still lived in all Jewish environments. In reality, however, the sages resided in areas that were all parts of the Roman empire. As the Roman Empire grew and expanded, so too did the geographical expanse of the Jewish community. Perhaps it was due to the shifting population of that era that encouraged the sages to include the following warning by Rabbi Nehorai in the Mishnah Pirkei Avot/Ethics of the Fathers: "Move to a place where Torah is studied, and do not say that Torah will follow you because your fellow students will make it your possession, and do not rely on your own understanding" (Pirkei Avot 4:14). Moving to a remote location (meaning one without a strong Jewish community) under the incorrect assumption that one had already acquired sufficient knowledge or one's strong Jewish identity will be enough to fight the forces of assimilation, is risky business. While there are stories of men and women who did so successfully, there are many more stories of Jews who were lost to the Jewish people as a result of assimilation. The Mishnah’s advice is just as applicable in the 21st century as it was in the era of the sages. Today, however, for those who do live far from an established community there are the unique benefits of the "Information Age." Recorded lectures, Jewish websites and, of course, Jewish Treats allow Jews everywhere to maintain their connection to the Jewish people from wherever they may be. When contemplating a move, research the Jewish community in the area. When does American Jewish history begin? Some would say that it begins in 1492, when Columbus set sail on his historic voyage accompanied by at least one known Jewish crew member (Luis de Torres). Others would point to the 23 Jews from Recife (Brazil) who arrived in New Amsterdam in 1654. Technically, however, history names Joachim Gans as the first Jewish colonist in America. A native of Prague, Gans made his way to England in the late 1500s. This was approximately 75 years before Menashe ben Israel petitioned Oliver Cromwell to officially permit Jews to reside in England, from whence they had been banned since 1290. A noted mining expert, Gans made a name for himself by introducing a process that reduced the time needed to purify copper by weeks. His knowledge of metals attracted the attention of Sir Walter Raleigh, who included Gans on his expedition to start a colony in the New World. The Roanoke Colony was located on Roanoke Island in what is now North Carolina. The colonists arrived in the summer of 1585 and built a small fort. Settling the New World was not as simple as they had expected. Within a year, the colonists were short on food and had reached a stand-off in relations with the nearby native Indian tribes. When Sir Francis Drake sailed by and offered them passage home, almost all of the colonists (including Gans) agreed to leave. The supply ship for which they had been waiting arrived only after the colony had been abandoned. Gans returned to England and settled in Bristol. In 1589, however, the Bishop of Chichester asked him some specific theological questions. The Bishop, however, did not like Gans' answers and charged him with blasphemy. The question of his fate was sent to the Queen's Privy Council, where, it seems, nothing more came of it - perhaps due to Gans' close relationship with several powerful men of the court. Nothing more is known about the fate of Joachim Gans. This Treat is in honor of Jewish American Heritage Month. During Jewish American Heritage Month, take special pride in the history of our people in this nation. On the eve of the second Passover, Moses was approached by a group of distraught men. “We are unclean because of the dead body of a man; why are we being held back so that we cannot bring the offering to God in its appointed time among the children of Israel?” (Numbers 9:7). This year, the 14th of Iyar, Pesach Shaynee, is Sunday, May 3, 2015. This Treat was last posted on May 14, 2014. This Sunday, eat some matzah in honor of Pesach Shaynee, the Second Passover.